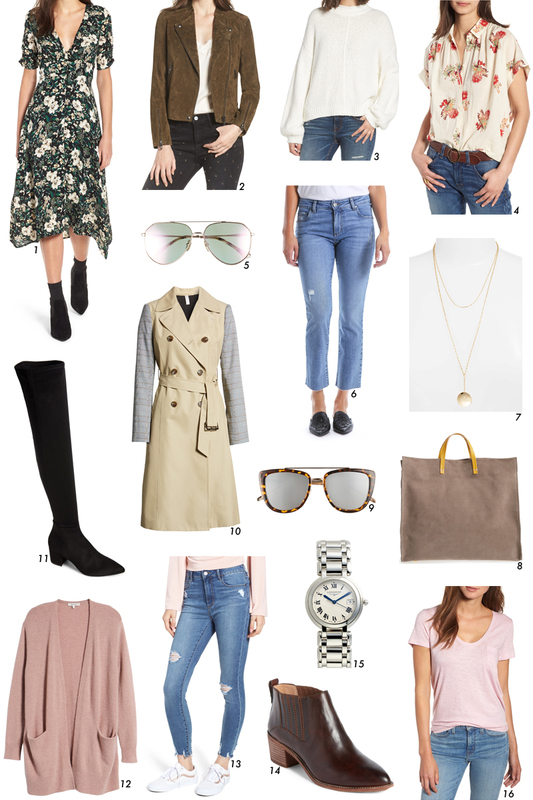 Proper Hunt: Nordstrom Anniversary Sale Early Access! It's finally here! The sale of all sales! The Nordstrom Anniversary Sale! It's open to cardmembers right now from now until July 19, then it will be open to the rest of the public until August 6th when prices go back up. We got the card a few years ago and it really is so worth it to get it. The deals during this sale are unbelievable and perfect timing, right before the weather gets cooler so you can stock up on some great boots, sweaters, coats, and more! - If approved, you can sign in to access your card online and start shopping right away. - Earn 2 points per dollar spent in stores and online at Nordstrom, Nordstrom Rack, HauteLook and Trunk Club. - Get a $40 bonus Note when you make any purchase with us on your new card the day you’re approved. - Enjoy the benefits of being a Nordstrom cardmember. - No annual fee and competitive APRs. See APR and fee information. - 24/7 Nordstrom customer service. I went to the Nordstrom's in Columbia with my mom today and we made out like bandits! We both got #2 because it's just the most flattering jacket ever. The olive color goes with so many things and at $126, you just can't beat that price for a suede moto jacket. I also stocked up on some jeans, both #6 and #13 are SO comfy and flattering. They both have some stretch in them and stay put (I did the squat test and they both passed! ), and at under $60, it was a no-brainer to get them. I have been casually looking for a trench coat and when I spotted #10, it was love at first sight. It fits like a dream, is made really well (some good quality stuff here), and at $86, it was a definite add-to-cart type of situation. As with every year, I know Nordstrom's will keep adding new items to the sale so I'll be sure to keep scouting for things and sharing them here. And if that's the case, I'll go back to Nordstrom's and do another try-on session with the new items. In the meantime, head on over to Instagram and watch my stories for what I tried on today. Cherished these so current and smart frill. Pleasant post. A debt of gratitude is in order for sharing this post.